The Western Team is coached by Jean Anthony. Their home barn is Lazy Triangle D (located on Proctor Road). 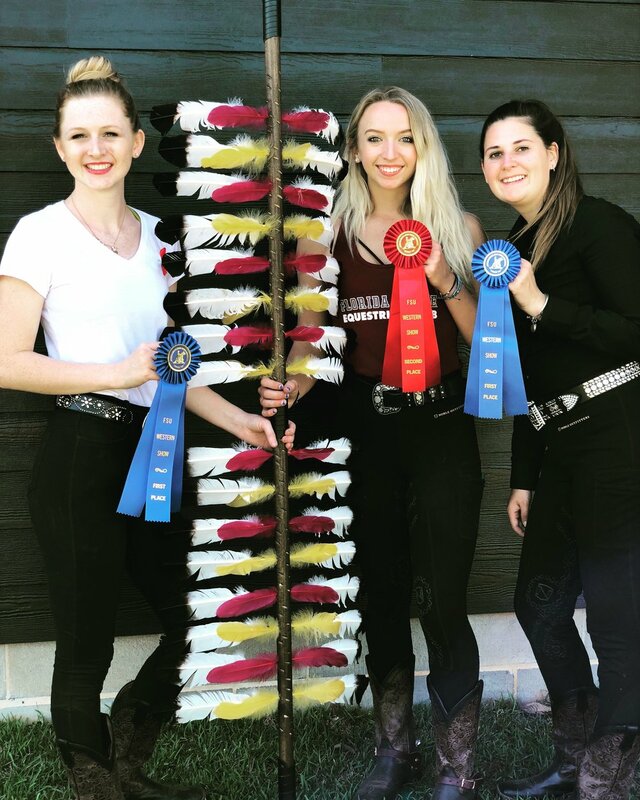 The western team competes in Intercollegiate Horse Show Association horse shows across the Southeastern US in horsemanship and reining events. In the 2017-2018 season the western team sent Ellen Waidner to nationals, she was National Champion in Alumni Western Horsemanship and 4th in alumni reining! The Western Team was 3rd in the region for the 2017-2018 season. Competitive: Must take at least one lesson every week.